A dog is a man best friend. A dog is a loyal creature, if trained well can provide you with security, a dog is also cute, and the dog can also become a lifelong companion. A dog is also one of the most popular pet to have at home and no wonder that there are countless of the dog owner and lovers from all around the world. To take care of a dog is such a responsibility, but we assure you that it is very much worth it, and it can also be a rewarding experience for you. However, keeping a dog as a pet at home can prove to be quite challenged, as there are many things to be considered like keeping up with your dog needs, training your dog to be well behaved, and understand dog well. In this modern day, there are still many myths and 5 misconception about keeping dog as pet at home many people still believe to this very day. We are here to debunk that myth and straighten out the misconceptions surrounding about a dog, dog behavior and also keeping a dog as a pet. If you are ready to become a good master for your good dog, and preparing to become a responsible dog owner, then make sure you know all of this misconception, so you can avoid it. Make sure to give your dog what they deserve, as they deserve the best treatment from you, their master. We have gathered any information about these myths and misconceptions about pet dog from all around the world. Although today there isn’t many pet owner that don’t believe most of these myths, there is still some pet dog owner that believe in these myths without the consent of the false information that can harm their poor dog. To avoid any misconceptions that can harm our poor pooch, it is the best that you know this information, and make sure to become well-informed pet owner for the sake of our dog. Now, without any more delay, let’s start to debunk on myths and misconception about a dog from all around the world. There is a myth about how the dog waging its tail. Most of the people think about that when a dog is waging their tail, it means that it is happy. This is not completely true, as dog wag their tail to express their emotions, not just happy but any other emotions such as curious, worry, sad, and many more. Some dog also waging their tail to relieve anxiety and to help them adapt in a new environment. So if you see a dog waging their tail, it doesn’t mean that it is currently happy. Although there is also some dog that waging their tail when they are happy, so this myth is not completely false, yet a bit of misconception here. Another misconception from popular stereotype about a dog, many people think that dog can’t see any other color other than black and white. Some people think that dog vision is monochrome, meaning they can only see in black and white like in a classical film, however it is wrong information. A dog vision isn’t monochrome, but instead a chrome of color that a bit different than human. Dog vision is different than human, for example, a dog can’t see green well, and they also can’t differentiate between red and yellow, although their vision is quite good when seeing the blue color. A stereotype about dog vision is monochrome is false information that you should know about it if you want to become a responsible dog owner. A dog chewing on many things like sandals, shoes or furniture isn’t new issues for a dog owner. Young dogs and pup do chewing on many things and most of the time a dog owner is mad at them because of that. Some people think that dog chewing on things is a sign that a dog hates the owner and punishing the owner by chewing on their belongings. This isn’t true at all, as there is a reason why a dog is chewing on things. Chewing on thing can relieve anxiety from the young dog, it also feels good in their gum, relieves gum muscle tension, and spend some energy for that. 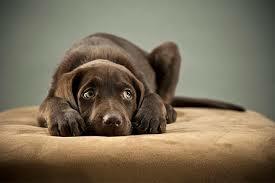 There isn’t any reliable source that tells about a dog is punishing its owner by chewing on sandals or shoes. Maybe this is the most disgusting and also hilarious misconception about a dog. Some people believe that dog mouth is actually cleaner than human, therefore it is healthy for them to lick you for a long time. This is not true, as dog mouth and saliva contains a lot of bacteria, and maybe dirtier than a human mouth. People that believe in this mouth should consider about it, and think more about hygiene. Sometimes, dog lick as the sign of attention and love, it is cute and lovely, but still not very hygiene if you are licked too much by your dog. Clean up your body once you’re done playing with your dog, especially if they lick you a lot. It is also to prevent some disease that can be transmitted through dog saliva. Although it might sound hilarious at first, there are some people that assume dog eat grass when they feel sick. Well, it isn’t true at all. Some dog loves to eat grass, and they can eat grass too. Unlike cat that is a carnivore, a dog is an omnivore and can eat some vegetable and fruit, although not every vegetable can be eaten by a dog, and some of them are even poisonous for a dog. The dog sometimes love to eat grass, just because they love it, and occasionally nibble grass in your lawn. Now, that’s it myths and 5 misconception about keeping dog as pet at home. We have done our research and we are hoping that our article could provide help for any dog owner who wants to be a better master and responsible dog owner.